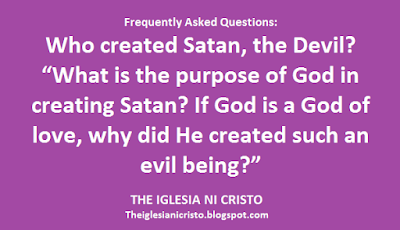 THE IGLESIA NI CRISTO: Who created Satan, the Devil? Thus, what was once the “anointed guardian cherub” – a perfect creation – is now the devil or Satan. The Bible also refers to Satan as the “great dragon” or “serpent” who deceives the whole world (cf. Rev. 12:9). He is the father of lies who “walks about like a roaring lion” seeking for victims to devour (cf. Jn.8:44; I Pt. 5:8-9). 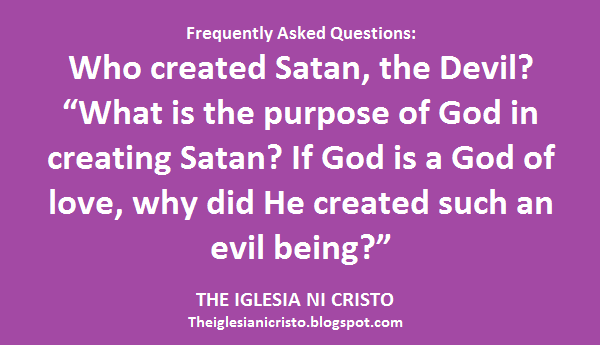 Therefore, God did not create Satan. Rather, it was the cherub that consequently became Satan after going against the Almighty God.